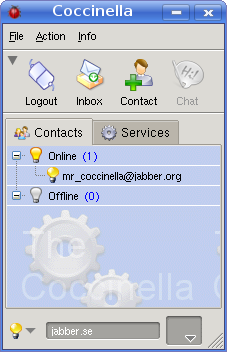 To add a contact, press the Contact button. 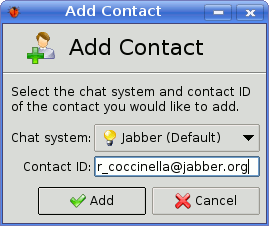 Enter the Contact ID (chat address) of the contact and click on Add. 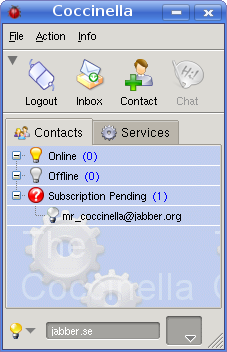 Until your contact allows you to see his/her presence, your contact will be put in the group Subscription Pending. Normally, your contact also wants to see your presence. You probably want to click on Yes.